I’ve decided to do a blog post showcasing my greatest eBay finds. Friends of mine are forever bemoaning the fact that I always buy stuff on eBay while they cannot find anything of any worth or just can’t be bothered to look. Which is really their big problem. Ebay can be a bit time consuming but there are bargains to be had and the fun of knowing you got something for a lot less money than if you went to John Lewis/Habitat etc Best of all you can get one off, no one else will have them, pieces which is my favourite thing of all. 1) EVERYTHING is cheaper on eBay. Even IKEA. 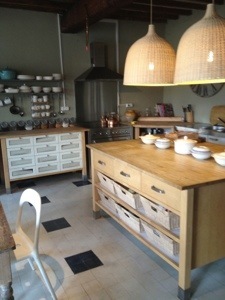 Our Kitchen in France was all bought up on eBay thanks to constant searching for IKEA VARDE. If you do want IKEA stuff be specific. Find out its funny Swedish name and search for that. In the case of our french kitchen we plumped for a freestanding range which people seem to be often selling off on eBay so even though it’s pretty cheap to buy it full price, by the time we’d bought 10 units of differing size including drawers and a sink unit, we worked out we saved around £1500. 2) SAVED SEARCHES ARE YOUR FRIEND. Think about specific things you want or need and save a search on eBay. I currently have saved searches for Made.com and Graham and Green and so every time anyone puts anything up there I get a notification taking me straight to it. We bought our cooker in France this way with a saved search for Smeg Range. You can see the kind of price range you can expect to pay and sometimes one is going cheap. 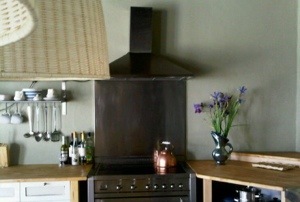 Like this range with hood – ours for just £500 from a cookery school closing down in Watford. 3) BE PREPARED TO TRAVEL. Husband (patiently) has driven for miles around the country over the last few years to buy up stuff I have found and bought on eBay. The further from London the cheaper it will be. FACT. 4) Don’t be put off by things listed as damaged or broken. Our bedroom mirror in France was honestly listed by someone as chipped in the description line which obviously put everyone else off. When it arrived the chip was so minor you can’t even see it but I got the mirror for £50 as opposed to hundreds of pounds for similar ‘non damaged’ ones. 5) Buy ‘new’ stuff on ebay….I get all manner of useful but quite practical stuff on ebay. Things like ‘wire’. Hanging lights look so much nicer with antiqued or coloured wire hangings and you can search for all this sort of stuff on ebay. And the choice is massive. I had been searching for light wire and stumbled upon this black and white ‘iron’ wire which I switched onto my White Company lights in my London home to make them look a bit more interesting. Difficult to see but the wire is black and white stripes. 6) If you have something you like – keep buying more on eBay. 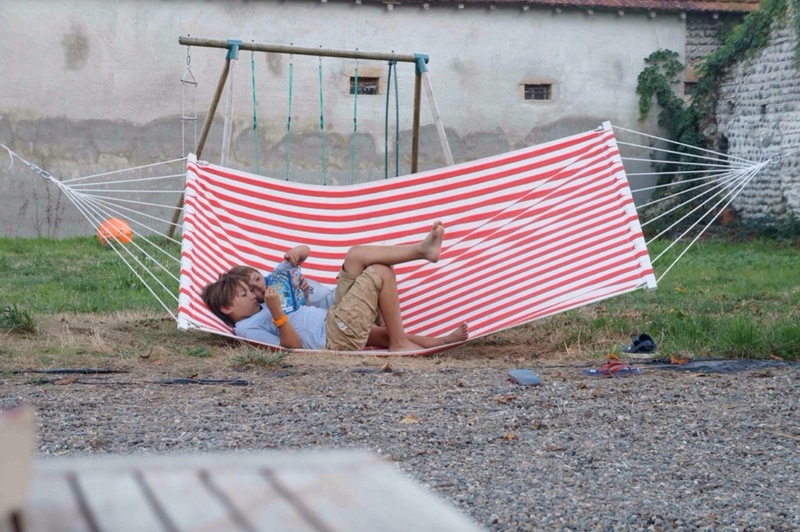 Our garden hammocks were getting a bit shabby but we loved them and used them more than any other item in our french house. IKEA had discontinued them but we saved a search on eBay and now just keep buying them and storing them! 7)It is the BEST place for haberdashery (well apart from John Lewis but you can get this stuff from your desk!) Cushion fabrics, linging fabric, zips etc can all be bought on ebay. Even discontinued fabrics. Or save a search for expensive brands like Designers Guild and you can always get some scraps and make cushions. I’ve bought all my lovely hessian fabric to make curtains on ebay – its not really intended for curtain making but I love it and it is VERY cheap. hessian fabric just 2 pounds a metre! Perfect for 3m long curtains! So there you have it. I literally buy almost everything I can on ebay. Even if I see something I like in a shop I just go home and do a search on eBay to see if I can find it cheaper. And that’s the way to make sure you get lovely stuff even if budgets are tight. Hope you find my advice useful. You’ll become the master or mistress of the ‘saved search’ before you know it! 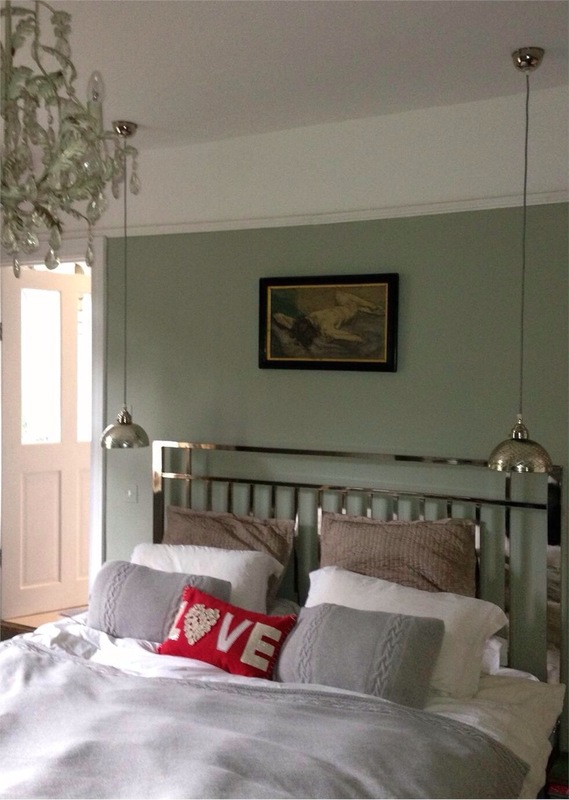 This entry was posted in homes, renovating, renovation and tagged bargains online, ebay bargains, eBay buying, ebay sourcing, hessian fabric, Ikea stockholm rug, Ikea varde, shopping on ebay, smeg range by vicawhite. Bookmark the permalink. Well done! Such beautiful finds. I know people who SELL on Ebay and make a fortune. Seems like a win win situation to me. I think I need to start taking a serious look at it! Totally with you, it’s always my first port of call. I’ve also picked up a few bargains from poorly spelled descriptions, such as my ‘Royal Worster’ coffee jug. Winning! Check out paint drop cloths at your local DIY for furniture slipcover fabric, window covering, upholstered pieces. It’s very inexpensive, a neutral color, and durable for sure. You can google.com for examples and ideas. My sister has done an amazing decorating job with pre-washed drop cloth fabric that she stencils stripes for more interest. 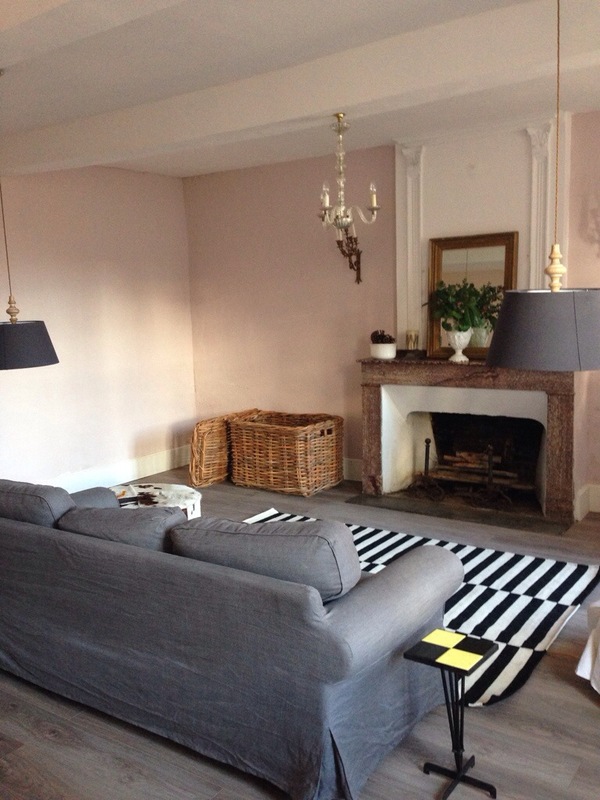 Most of our French (& UK) house furnished via ebay also , apartment too! You have an eye for great finds! How about le boncoin, do you use that site/app? I have most of my saved searches there. 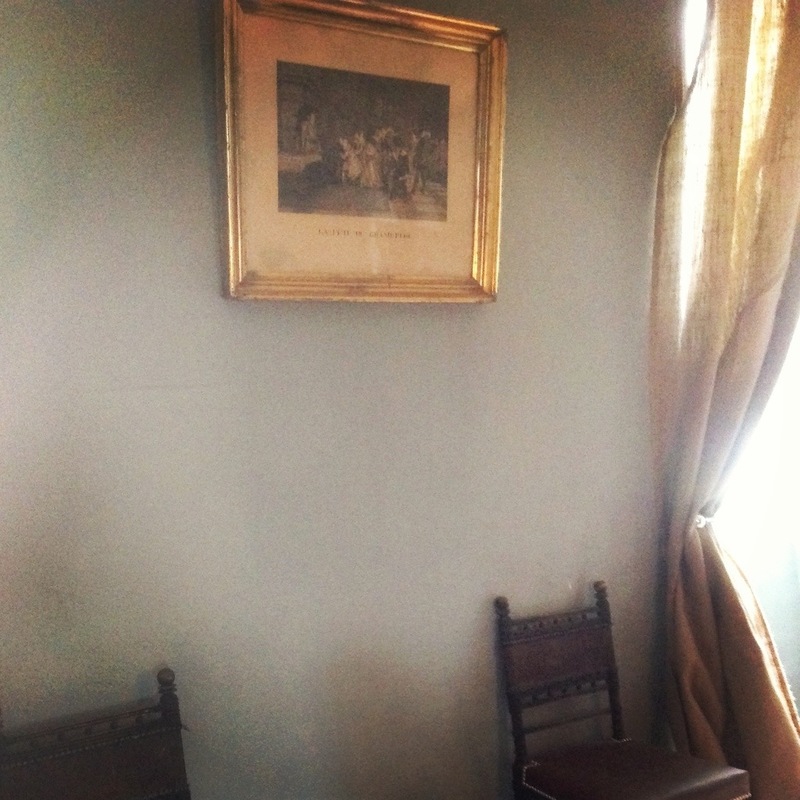 Being specific seems to bet the key…and it’s my problem I think… I’ve been looking for a “secretaire” and an “enfilade” for months. I think it can be compared to craigslist? It’s not an auction model, it’s free to buy and free to sell (if no more than 3 pics which is usually enough). Not a very powerful site/app but the app (iphone or Android) does allow to save searches. Ah yes ebay clothed both myself and my boys in the early days when money was tight. Not so good here in France less choice I find. Great list – thanks for the tips. I’m always hesitant to buy stuff of ebay, but your post was convincing – I’ll have to give it a try! 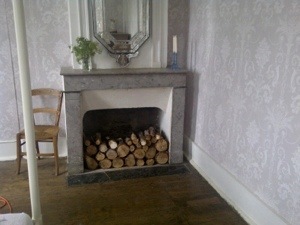 Also, I just adore your sitting/living room, it is lovely (especially the fireplace)!